BRISTOL - The annual Polish Harvest Festival, Dozynki, returned to the city this past weekend for a two-day celebration of culture and community spirit. Residents, parishioners and hungry patrons converged on St. Stanislaus Church on Saturday and Sunday to enjoy their favorite Polish foods and music. “We usually try to come here every year,” said Chloe Sullivan while watching her daughter play. “We’re Polish, so I like to give the kids a chance to try some of the authentic food. Sullivan and her kids left happy, since there was a lot of food for visitors. 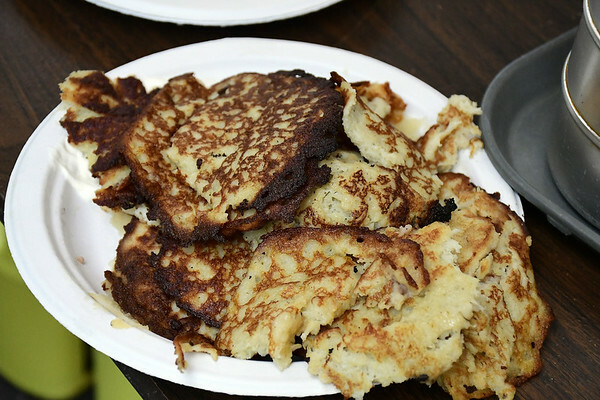 Parishioners made a variety of Polish specialties like pierogies, golumpki, kielbasa and chrusciki. Around dinner time, the line for the Polish food tent was almost across the whole parking lot of the church. There was also a variety of live Polish music and oldies on both days of the festival. 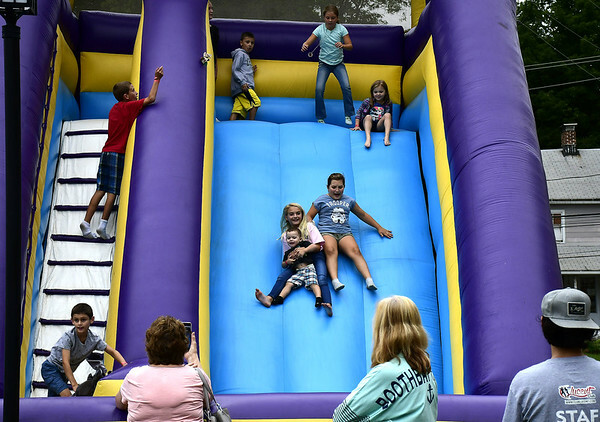 For kids, there was a variety of inflatables and activities to have fun with. Crafter booths were also set up across the church property. The Rev. Tomasz Sztuber told The Press last week that back in the villages of Poland, Dozynki was a celebration of the end of the harvest. 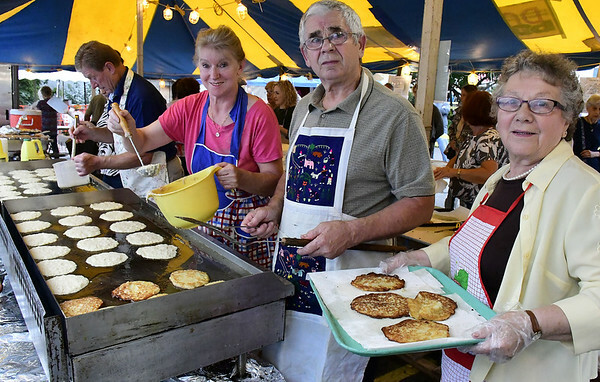 Dozynki has been a longstanding tradition at St. Stanislaus as well, with this being its 31st year. The church sent pamphlets to other parishes in the area to invite them to the festival. Masses were held an hour before the start of the festival on both days and featured the Polonia Paderewski Choir. Concerts were held in the church after each Mass. Proceeds from this year’s festival will help St. Stanislaus fund its 100th anniversary celebration next year. Visitors could purchase a 100th Anniversary Medallion at this year’s Dozynki for $15. In addition to the medallion itself, which bears the image of the church, buyers were given a small booklet detailing the church’s history. Posted in New Britain Herald, General News on Sunday, 9 September 2018 21:16. Updated: Sunday, 9 September 2018 21:18.